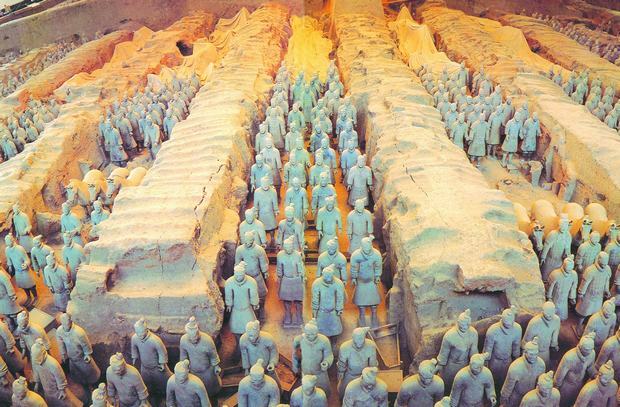 China, as one of the four oldest civilisations in the world, has a long and mysterious history of more than 5,000 years. China can trace her culture back to a blend of various city-states along the Yellow River, which have expanded and became the great country we are today. China's early primitive human discovered so far is Yuanmou Man, who lived around 1.7 million years ago. Perhaps the most well-known is Peking Man, found in the Zhoukoudian area in the suburbs of Beijing in 1965. Peking Man lived about 60,000 years ago. During the long process of rise and fall of dynasties, there emerged countless eminent people, cultural relics and historical sites. China is also the inventor of compass, papermaking, gunpowder and printing.